We could all use some good news, yes? 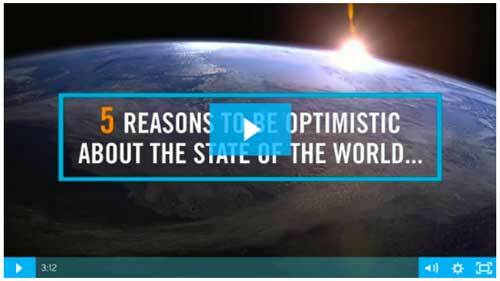 Pachamama Alliance has created a new video: 5 Reasons to Be Optimistic about the State of the World. This 3-minute video highlights five major trends we can be hopeful about now, even in such uncertain times. We invite you to watch and share this video so that its message of hope can reach your loved ones and stretch far and wide. We could all use some good news, yes? This video highlights five major trends we can be hopeful about now, even in such uncertain times. We invite you to watch and share this video so that its message of hope can reach your loved ones and stretch far and wide. Share the post "A Message of Hope from Pachamama Alliance"